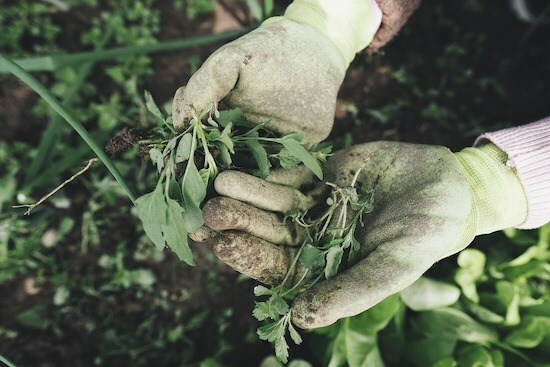 Everyone hates weeds, but not because they’re unsightly; mostly because they seem to grow so fast, as opposed to your beautiful lawn or garden flowers. Everything seems to bring them to your garden: wind, bird droppings, even breathing in their direction. After discussing some key issues regarding how to choose the right product, we’ll review some of the most effective weed killers on the UK market. Soon, your garden will be a weed-free oasis. There are various factors to take into account before getting the best herbicide for your needs. The purpose of getting a weed killer is the top factor that affects your purchase decision. What weeds do you want to get rid of? Annual or perennial? Dandelions, ivy or brushwood? And what’s the preferred dwelling place of these weeds? On the grass, driveway or patio? The good news is that there’s a product for each of your troubles! The ability of a weed killer to be selective is an important factor for many gardeners who would like to preserve the integrity of their lawn or garden. 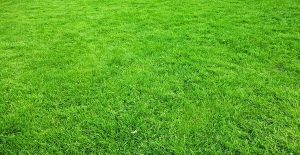 A good weed killer for grass is a selective herbicide that only kills weeds, not grass or vegetables, while very strong chemicals eliminate weeds and grass indiscriminately. But what about home remedies? Does bleach kill weeds without damaging your lawn? Does salt kill weeds with no negative effect? The answer is that even homemade solutions like chlorine and salt can have a bad effect on the environment, burning the grass. Another important issue to consider is how persistent the weed killer is. 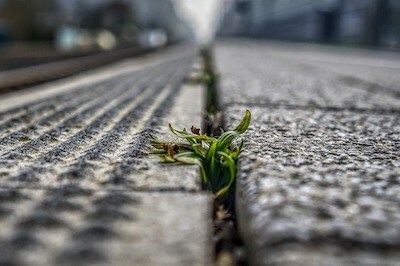 Strong weeds might need to reapply it constantly, on a weekly or bi-monthly basis, but oftentimes the matter of persistence is tied to correct application. As such, follow the instructions on the package regarding the best times to apply the weed killer. The right season, weather, soil humidity and age of weeds are all important factors that influence how long-lasting the effect of the weed killer is. User-friendliness is oftentimes a decisive purchase factor. You might not buy a weed killer if there is a lot of mixing and matching, if you need to wear a lot of protective equipment or if you need to make complex calculations. A user-friendly design also makes the herbicide easier to use, meaning you need to pour it without fear of bubbles or attach a hose without too much trouble. Fast results might be important for some, while other people can wait weeks at a time to see their garden weed-free. Generally, herbicides that deal with stronger weeds, including woody weeds, take longer to work. The same can be said about organic weeds that use natural ingredients. Your safety and that of your children and pets is a top priority. If you can’t keep kids and animals off your lawn or patio, choose a biodegradable product that allows access once it has dried, or an electric weed killer. Make sure you follow the instructions regarding safety equipment you need to wear when applying the herbicide. While milder, organic substances require fewer precautions, stronger substances can cause extensive skin damages when in contact with your eyes or skin. Check how soon you can replant your lawn after applying the weed killer. This is especially important for herbicides that need consecutive reapplications, with no replanting allowed in-between. Generally, milder substances allow quick replanting, in about a week’s time. Stronger chemicals might require months to pass before resowing. 2,4-D is an organic compound good for large areas and big lawns. Boric acid is the safest and mildest of all. Clopyralid is a commonly used weed killer for lawn weeds. Corn gluten meal is an organic weed killer best suited for light applications. Dichlobenil is a highly-selective weed killer, which is why you can use it for garden beds. Diuron is a heavy-duty weed killer used for professional applications. Fluroxypyr works against broadleaf weeds and woody brush. Glyphosate is another heavy-duty weed killer but allows home use too. MCPA works for broadleaf weeds, in cereal crops and pastures. Triclopyr is an organic compound that kills woody weeds and fungi, but not grass or conifers. What’s the best weed killer in the UK? With all these characteristics in mind, let’s move on to some of the most effective weed killers on the market. All the products below have different characteristics, which is why they’re suited for different purposes. With that in mind, you’ll surely find the right weed killer for your lawn. This weed killer will get rid of most weeds in your garden while keeping your lawn looking great. As such, this Dalek of weed killers will exterminate weeds such as black medick, common mouse-ear, daisy, dandelion, lesser trefoil, plantain and white clover. However, Weedol mostly works against broad-leaved weeds and not narrow-leaved weeds. It’s also not that effective against deep-rooted weeds. Weedol can kill these weeds thanks to its strong ingredients. The mixture of fluroxypyr, clopyralid and MCPA makes them grow at a rate so huge, they can’t cope, so they end up dying of too much exhaustion. This weed killer is easy to use, by adding the substance either in a watering can or in a sprayer. However, you need to avoid contact with water surfaces like ponds or cultivated vegetables. You also need to use compost for about 9 months after applying it and avoid mowing for a few days before and after. Also, keep in mind that the best results for Weedol can be seen from April to September. You can’t use this product for new lawns either – yours has to be at least 2 months old. This Barclay Gallup Home & Garden weed killer works great for large areas, considering that a 2-litre bottle can cover more than 3000 sqm. The formula is based on 360 g/l glyphosate, which is exactly the same as the majority of professional products. The downside is that the packaging isn’t always top notch. Sometimes, the included gloves and measure pot might be missing or damaged. One of the best value for money herbicides on the market, this weed killer can get rid of most annual or perennial weeds, including those with a deep, extended root system. Among the weeds that can easily be killed off are bindweed, dandelions, docks, nettles and willowherb. While it generally takes just one application, some of these stronger weeds might need another spray. However, the good news is that this isn’t a dangerous weed killer because it becomes inactive once it reaches the ground. 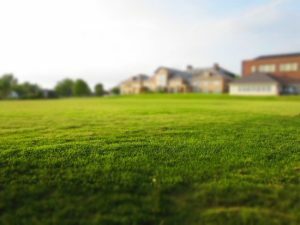 Soil microbes will break it down, so there aren’t any toxic chemicals remaining in the soil, meaning you can replant your lawn about a week after applying this herbicide. It’s easy to apply this weed killer; you simply need to dilute it in water. Keep in mind that you need to spray it over growing annual weeds and flowering perennial weeds while avoiding windy conditions. Keep your children and pets away from the lawn until it has dried. If you’re interested in the rapid treatment of your path or driveway, the Roundup Fast Action Weedkiller is perfect for the job. Unlike weeds growing on your lawn, these ones aren’t so deeply-rooted or strong, so they’re completely exterminated by this weed killer. However, make sure not to use it on your patio, or it can bleach it. The 5-litre bottle is easy to use courtesy of the pump’n go system; you just need to apply an even, 10-minute continuous spray. The results don’t delay either: your driveway will be cleared of distasteful weeds in less than 2 days, though tougher weeds might need to reapply this herbicide. A big advantage with the Roundup weed killer is that it’s child and pet-friendly, as well as biodegradable. So if you’re using it on your lawn, you can replant grass seeds quite quickly. The user-friendly container is another advantage. There’s a child-resistant trigger and an adjustable nozzle, plus an included extendable lance so you can sit up straight while using it and avoid back pain. This electric weed killer is great for use on patios, and better yet, it’s environmentally friendly. It works by employing thermal heat which kills the weeds from their roots, and with no flames. You simply need to plug it in without buying gas to make it work. The 492 cm cord length is long enough to cover a generous surface. Besides, the design makes it easy to use, with an ergonomic handle, a directive cone and low weight. However, it would definitely need a shoulder strap to make sure you position it right without straining your upper back. This weed killer is also compact and easy to store, considering that the handle is detachable and the stand is retractable. Besides, it doesn’t use chemicals so the kids and pets can play out on the patio in no time. The two temperature settings of 60⁰C and 650⁰C allow you to choose the power you need to get rid of different weeds. As such, the highest setting eliminates deep-rooted weeds, while the lowest allows you to conserve energy. This is a powerful weed killer too, considering that the airflow is 500 litres/minute and that its power is 2000 W. Make sure not to use it on grass when it’s very hot outside, though, or the grass might catch fire. If you’re on the market for a strong weed killer, this one from Vitax is perfect for your needs, especially if you want to get rid of brushwood. This product gets rid of things like brambles, dock, saplings, stumps and nettles without killing grass thanks to its triclopyr formula. The liquid formula makes it easy to use too, though the liquid starts bubbling when the bottle is half empty. This means you have to handle it with extreme care, especially because that triclopyr is an irritant. But this key ingredient is very effective on woody weeds, so it rarely needs a second application, though you need to wait a few weeks to see results. Results can last for months until you see faint traces of brushwood reappearing, which is why this product works great for brush control and defoliation. The application is late spring to autumn when the weeds are growing and the turf is moist. However, tree stumps require application during autumn and winter, when the sap has stopped growing. Another precaution is that you can’t replant your lawn for at least six weeks. When looking for an effective weed killer, the first thing you need to consider is your purpose. Which areas do you need to use it on? How strong is that weed killer? Is it safe for children and pets? How easy is it to use it? Once you know the answer to these questions, you can confidingly browse various weed killer reviews to pick the right product for your needs. Now that you’ve done all that, which weed killer are you going to choose and why? What have you tried so far that worked and what didn’t?